The Perks of Being a Wallflower has been the staple Young Adult book for the past decade. I first read it at the beginning of my sophomore year of high school. As a fifteen year old, I connected with Charlie and his friends on many levels. It’s meant a great deal to me since then. When I heard a year or two ago that Stephen Chbosky was adapting his novel to film, I was excited… and hesitant. I was happy that Chbosky was taking the reins on this film. Who else is better than the author to adapt his own book to film? Yet, I wasn’t familiar at all with Chbosky as a filmmaker. Would he make Perks as great a film as it is a book? The answer is a resounding and absolute yes. The Perks of Being a Wallflower is undoubtedly one of the best movies of the year and can also be easily considered one of the best teen dramas of the past decade. If you haven’t read Perks (and you should definitely get on that), it’s the story of Charlie (Logan Lerman) as he begins his freshman year of high school. Charlie’s smart, quiet and doesn’t have any friends. His family tip-toes around him, asking vaguely if he’s okay. He’s hopeful that high school will change things around for him socially. But after a rough first day, it’s not looking too good. It isn’t until he strikes up a conversation with senior Patrick (Ezra Miller) and meets Patrick’s step-sister Sam (Emma Watson) that he finally finds a place where he belongs. From there, you see how Charlie handles new friendships, experiences and the ups-and-downs of being a high-schooler. Mostly all of things I love about the film are the same things I love about the book. That is so rare because it isn’t often where a film can completely encapsulate the book’s essence. There’s no doubt that the film does that. Now, that doesn’t mean that it’s exactly like the book. There are parts big and small that are left out or rearranged to make it a more coherent and riveting story on screen. Chbosky did a masterful job on the screenplay. He balanced out the very emotional moments with humorous levity, a clear and realistic reflection on how life is. All audiences will be able to relate to this story is some way or another. Logan Lerman is brilliant as Charlie. I was stunned by Logan’s acting during Charlie’s vulnerable moments and in one scene in particular. The rest of the cast did a phenomenal job as well. Emma Watson finally proves herself outside of the Potter films. She plays Sam with heart, and the chemistry between her and Logan is so sweet and genuine. Ezra Miller is hilarious and perfect as Patrick. Despite all his funny jokes, he ends up being more than the comedic relief. Mae Whitman, Nina Dobrev, Paul Rudd, Dylan McDermott and Joan Cusack also star in the film and make big impressions. I sincerely hope that The Perks of Being a Wallflower gets the attention it deserves. When you have a great story that is brought to life with amazing performances, it’s hard to see it go unnoticed. From I’ve seen so far this year, I consider it an awards season contender. Even if it doesn’t win any awards, I’ll be satisfied with the fact that Chbosky has brought his classic teen novel to life with so much heart and talent that the film itself will live on as a classic as well. 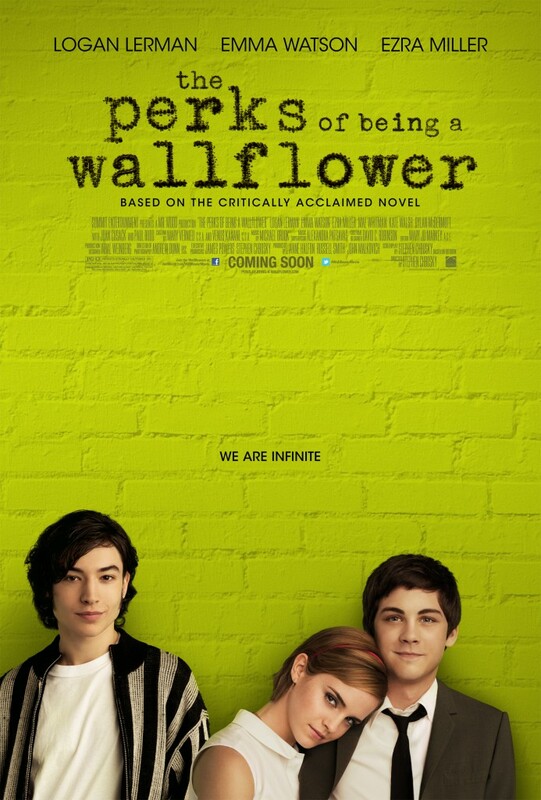 The Perks of Being a Wallflower hits theaters September 24th. You can watch the trailer here. 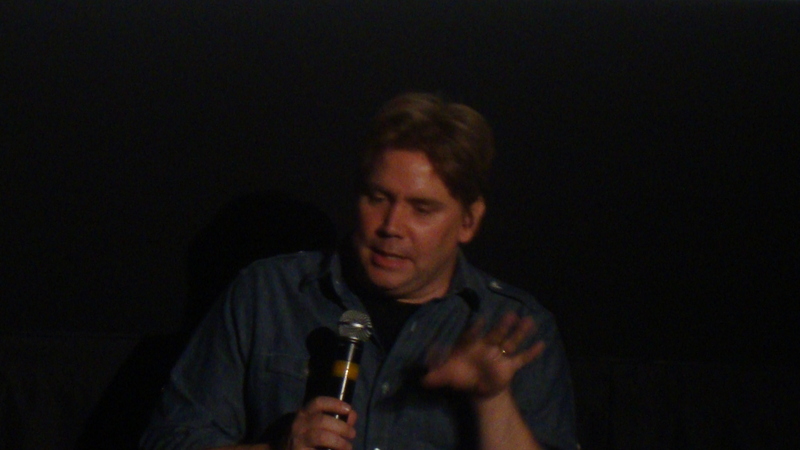 Stephen Chbosky attended a post screening Q&A last night to talk about his film, The Perks of Being a Wallflower. I recorded most of the Q&A, and you can watch it in the videos below. He sheds a lot of light on the book, his writing and filmmaking processes, music, the actors and anything else that had to do with bringing Perks to life on the big screen. The music makes up a big part of the movie. Tracks like The Smith’s “Asleep” and David Bowie’s “Heroes” play crucial parts in the film. You can check out more about the soundtrack here and watch him talk about the music during the Q&A below. More pictures of Stephen Chbosky at the Q&A can be seen on our Facebook page! Warning: If you haven’t read the books, there are spoilers. Also, he indicates which scenes did and didn’t make it into the movie. (There will be a TON of deleted scenes on the DVD, by the way.) If you don’t mind any of this, enjoy!